Thank You Sensei and Thin Thin for a fantastic class & retreat! 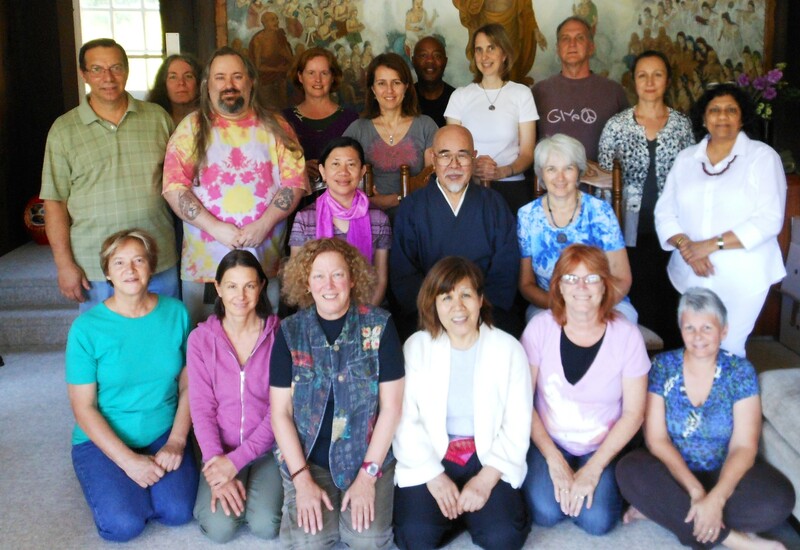 Gratitude to the Dai Bosatsu Zendo for a wonderful experience. Shinpiden Class is very thourough and well presented. Love Sensei’s playful teaching style! I enjoy the location of the retreat immensely. It is a very comfortable and welcoming place. Being able to participate in the meals & service is a plus. Delicious, nutritious food prepared by loving, compassionate hands. The retreat is wonderful and wonderfully organized. I can’t imagine a lovelier site for a retreat, and the combination of Komyo Reiki and zazen is perfect. The food is delicious and the variety is amazing! Mastery evident, kindness & patience of Sensei most visible. The Simplicity of Reiki beautiful. Above expectations, food remarkable, interesting to learn of Zen Buddhism, setting astonishing. I found the staffs at the monastery and all the zen staffs to be awesome, even if it was physically very challenging to me personally. I was very impressed with all the volunteers and staffs, they were very helpful & accommodating. It would be helpful to have more time to & breaks to “soak” up the symbols for 1st time students. It was wonderful to be part of the activities of the monastery. The rooms in the guest house were comfortable & personal were helpful. Thank you for updated manual & information. Amazing location- wonderful Meals. Really enjoyed the Buddhist sitting, food, chanting + special drumming. Thank you Thin Thin- Beautiful from start to finish! Very friendly and relaxed environment. Detailed teaching into spiritual depth. Enjoyed format very much. Most important- attitude of teacher- so THANK YOU. It was a true learning experience at the Monastery! Loved it! The class was great and very interactive. Morning service is beautiful. was more comfortable next day. you can feel the vibration within and in the room. very organized. Registration was great. very comfortable. Thin Thin is an excellent organizer. Keep up the good work. More time for self reflection. How to sit Zazen would be helpful. Loved the class: Sensei is a beautiful person.***. I gained many insights + know that my practice will continue to deepen because of his wisdom + sharing. Words fail me. It was just amazing! And Peter & the rest of the staffs were so kind, patient and helpful. Thin Thin did an absolutely astonishing job, setting everything up, keeping in touch, updating the website to keep us all informed+ inspired. Gassho Thin Thin!!! …and I love Sensei’s teaching style! Gassho Sensei!!! Wish more formal meals & more zendo culture experience, love chanting & rituals. Sensei, I am so grateful for your sharing of your knowledge and time. Your teaching is profound and deep. This class has been a life changing experience! Thank you Sensei! The facilities are beautiful, I have enjoyed everything! Thank you to the staff volunteers residents for this experience.